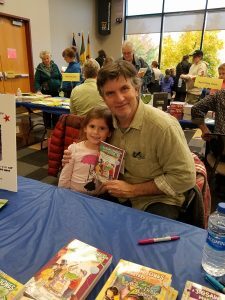 Why We Do It — Thank You, Rochester Children’s Book Festival! 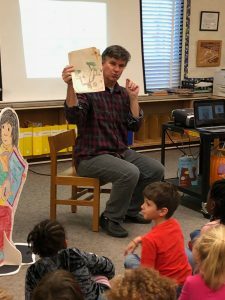 I’d like to share a story with you — a story that gets deeper and more lovely as we go along — and it all comes back to how blessed I feel to play a small role in this incredible world of children’s literature. 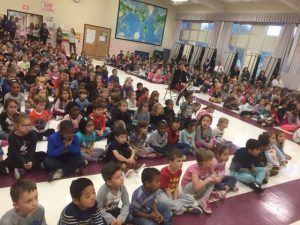 Authors, readers, teachers, librarians, parents, all of us joined in the same magical dance of literacy and empathy and kindness. It can be a hard way to earn a living, full of soul-crushing rejections and ever-present financial worries, but it’s also obviously the best job ever. 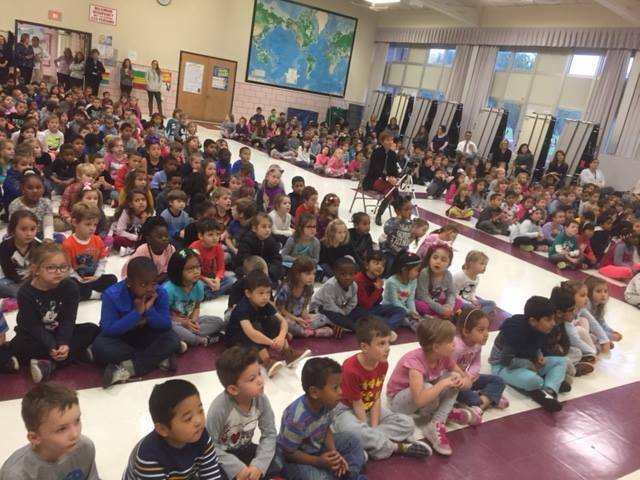 I visited two K-3 schools in the Rochester area last week, Thursday and Friday, November 1st and 2nd. 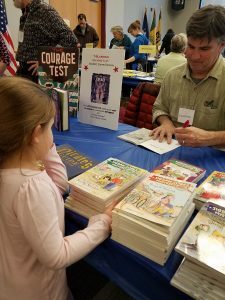 This tied into the Rochester Children’s Book Festival, which took place on Saturday the 3rd. This is a unique festival, with heart and soul, and I’m grateful to have been invited several times over the years. Let me tell you about this girl I met. 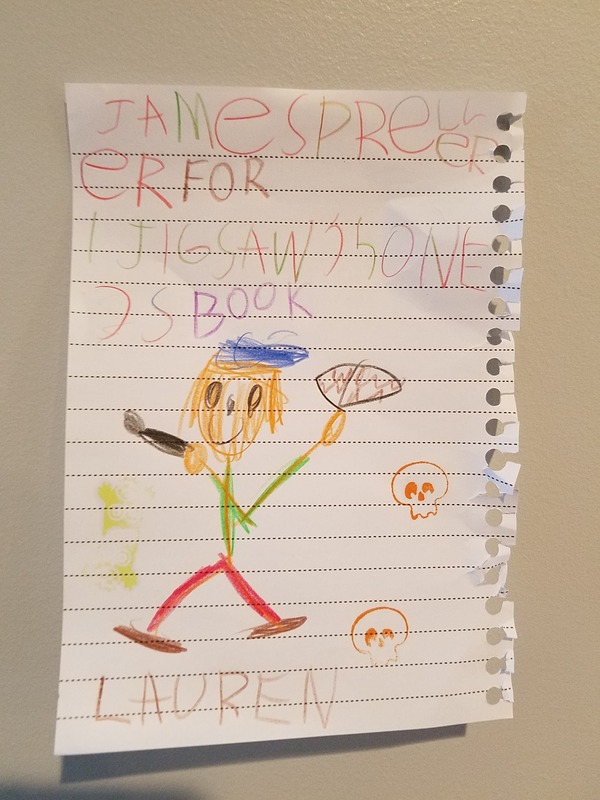 For some reason, maybe because I was her first “real, live” author, Lauren was smitten with me. 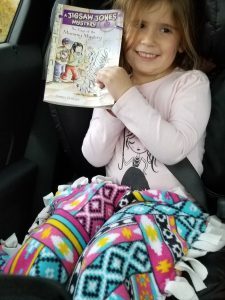 We connected during my school visit, to the point where she returned home and urged her mother to please, please, please take her to see James Preller (again) at the RCBF. Her mother obliged, gladly. You made quite the impression on Lauren. She read the whole way home and drew an amazing picture of one of the Jigsaw Jones books you signed for her. We’ll get to the heart-melting part of this post in a moment, but first some quick snaps . . . This guy greeted me in the lobby at one of the schools . 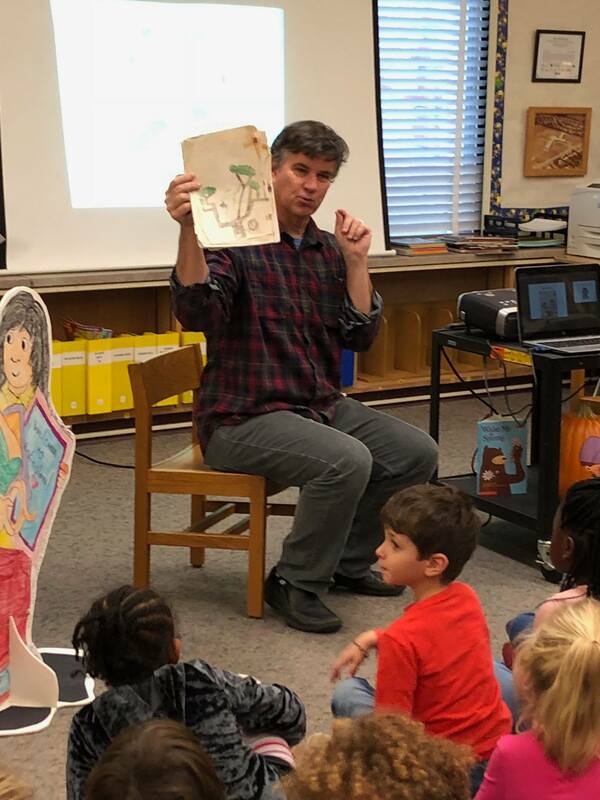 . .
Due to time and space restrictions, I gave “big” presentations to grades 1 and 2 combined . . .
. . . and a small one for the kindergartners. Pro tip: While I’m typically energetic for large groups, I always sit for K-only groups. We keep it mellow & super cozy. . .
Then at Saturday’s book festival, Lauren showed up, beaming . . .
We chatted and took a snap together . . .
Who’s cuter? Do I win? 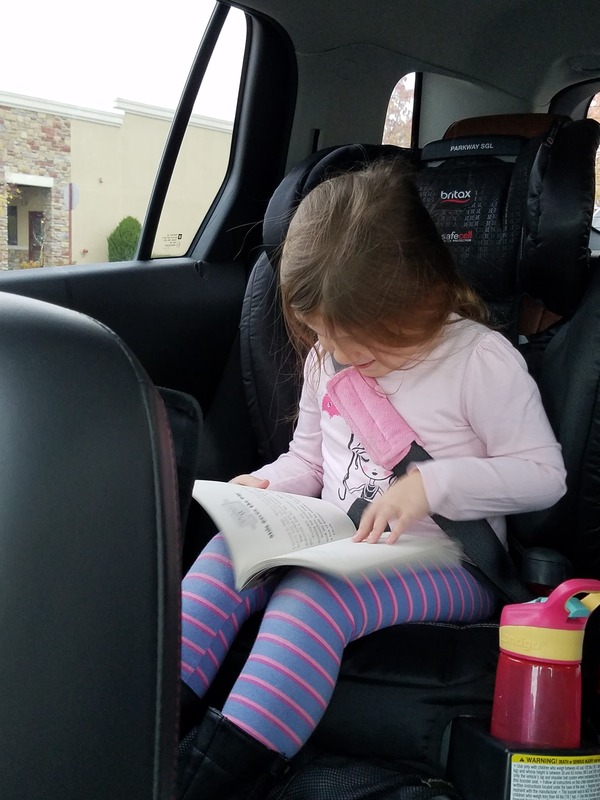 The car ride home was quiet . . .
And she drew a picture for me that very night. The next day, Lauren’s mother and I exchanged some messages. As I’m sure you saw from our facebook page, Lauren’s younger brother, Owen, died, and it’s given her an astonishing level of empathy and awareness for others. We actually started an entire book donation program in his name at the hospital where he spent his entire life, and she is very involved in the process of selecting the books for the kids at the hospital. It’s our attempt in turning unimaginable heartbreak into something good. If you know someone who has lost a child, and you’re afraid to mention their child because you think you might make them sad by reminding them they died — you’re not reminding them. They didn’t forget they died. What you are reminding them of is that you remembered that they lived, and that is a great gift. 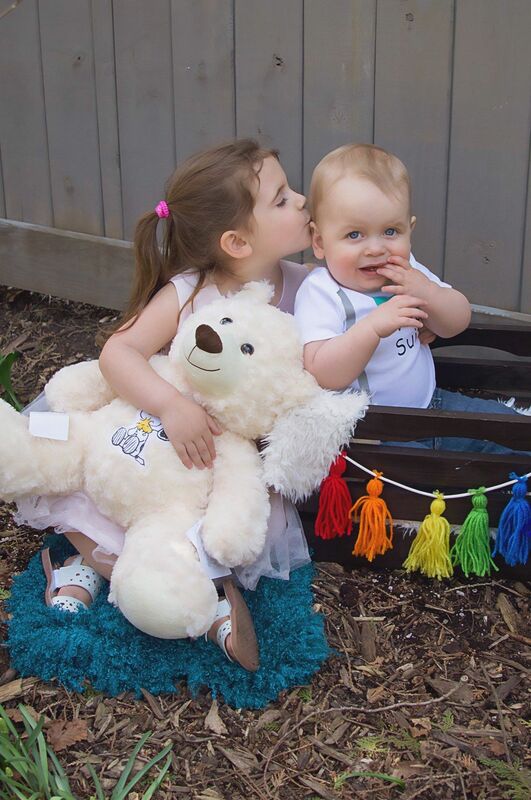 Remembering all of the beautiful gifts and appreciation for life that sweet Owen continues to give us, all the babies who left too soon, and the families they left behind. As a parent of a two-time childhood cancer survivor, including five years of chemo, I can relate to Kara’s words. People don’t always know what to do. Whether to say something or, perhaps, not. In my experience, some kind of recognition is always best. And food is always welcome! If you have something to give to Owen’s book donation program, that’s great. If not, that’s okay, too. Authors and illustrators get asked to do this kind of thing a lot. No matter how you respond, please give a thought to Owen, and remember Kara’s infinitely wise words. Oh, and — I see you, Lauren! Terrific drawing. Keep reading! Every book festival has its own vibe and personality. 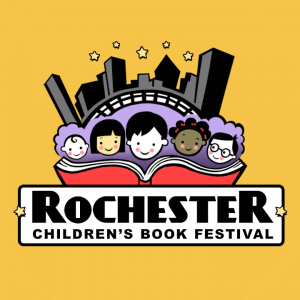 I’ve been fortunate enough to be invited to participate in the Rochester Children’s Book Festival for the past four or five years. It is cozy, warm, and enthusiastic — much like the city itself. It has an upstate feel. 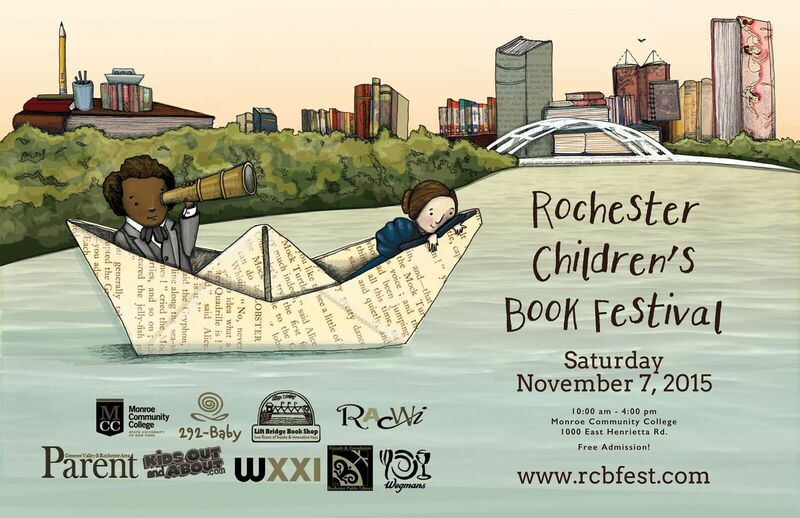 Whereas other book festivals may be bigger and glitzier, the RCBF tops out at under 50 authors and illustrators. It’s manageable, not overwhelming. I like it a lot, very grateful to return again this Saturday. But of course, full disclosure: I’m glad to be invited anywhere! Acutely aware there will come a time when that phone no longer rings. I’m especially excited to be promoting two new books from 2017: Jigsaw Jones: The Case from Outer Space and Better Off Undead, my new middle-grade title that just came out three days ago — already on its second printing. Get a First Edition while they last. But in any event, stop by and say hello! Maybe we can discuss my visiting a school in your area. I live in the Albany area, but have enjoyed traveling out that way once or twice a school year. Jeff Mack, nicest guy in the room! Thanks for stopping by. 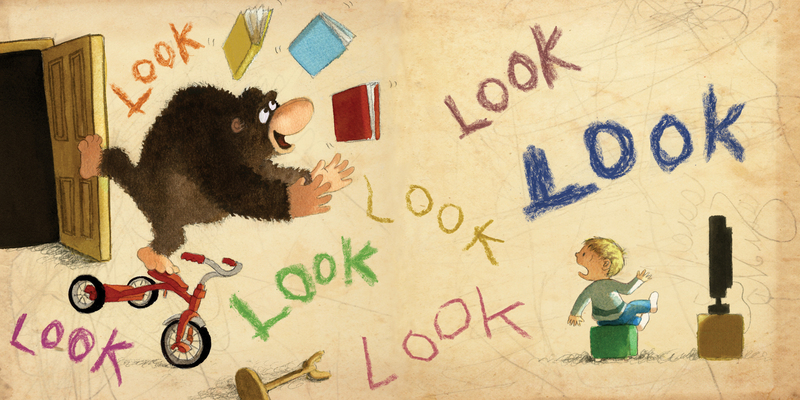 I’m so glad you’re here to discuss Look!, a picture book that uses only two words, “look” and “out.” Before we begin though, I have three words for you: “Wipe your feet.” Sorry, new carpeting. Oops. Sorry about the mess, Jimmy. That rug really tied the room together. Nothing says classy quite like orange shag carpeting. I just did up my van with the remnants. As a writer — as a professional counter of words — I’m envious. I keep having this image of you dressed in a red satin robe, sitting down at an old-fashioned typewriter, cracking your knuckles, and typing with one finger the word “Look.” At which point you sit back, hand on your chin, and muse thoughtfully. Your manuscript is half done. Is that about right? For Look!, try to take us back to the beginning. How did this book start for you? 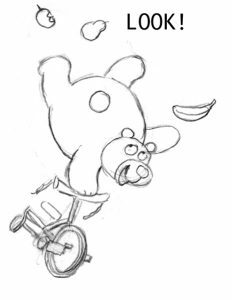 In 2006, I sketched out a story about a fruit-juggling bear who accidentally scares a bunch of cub scouts. Believe it or not, that turned into a sweet bedtime book called Hush Little Polar Bear. No fruit-juggling. No cub scouts. 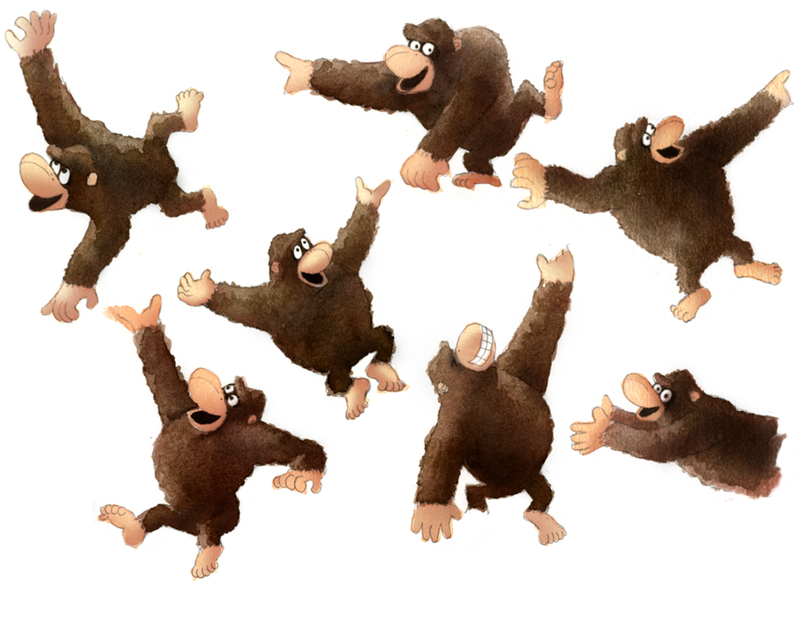 Years later, I was cleaning my studio, and I found my original sketches of the fruit-juggler. 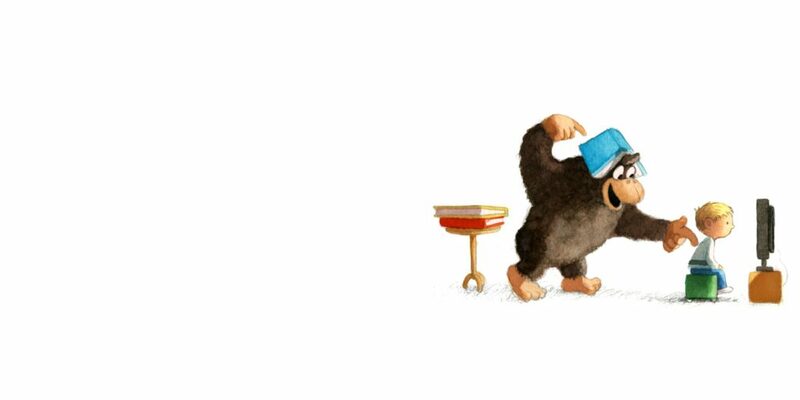 A new idea popped into my head: what if the bear juggles books instead? That was in 2013. Who Wants A Hug? 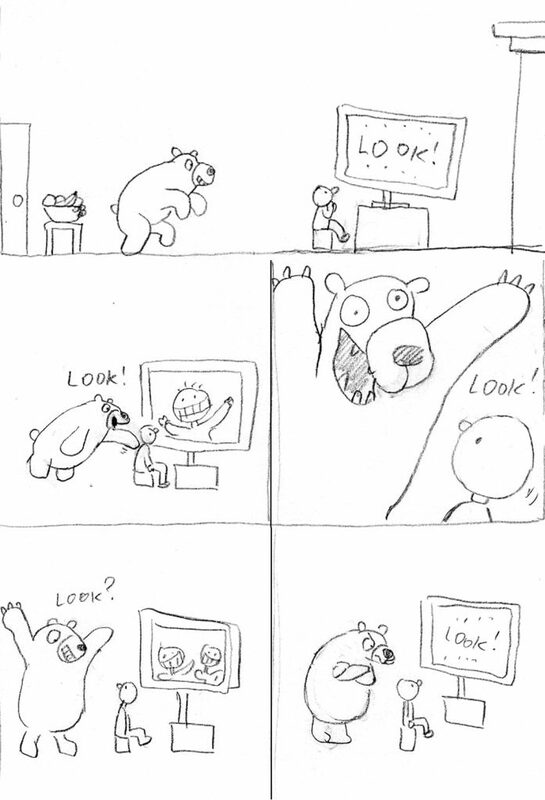 was about to be published, and it also has a bear in it. 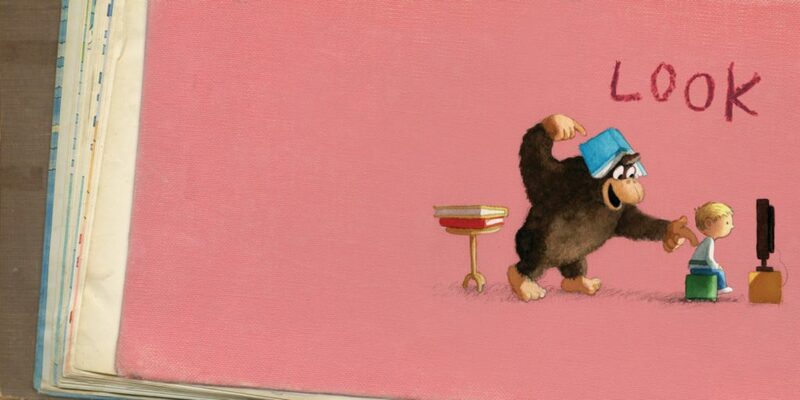 I wanted the books to stand apart, so I made the book-juggler a gorilla. And now he only juggles on one page. In the end, pretty much everything changed from my original idea. You wouldn’t even recognize it. 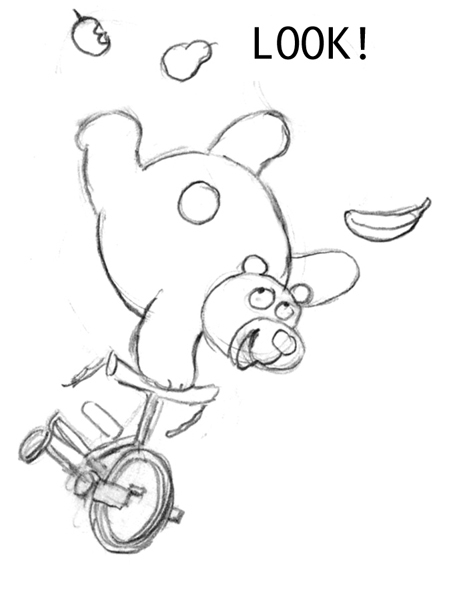 Now that I think about it, I should probably write a book about a fruit-juggling bear. Frank O’Hara has a great poem about that same dynamic, titled “Why I Am Not a Painter.” Readers should click that link to check it out. Sorry, I digress . 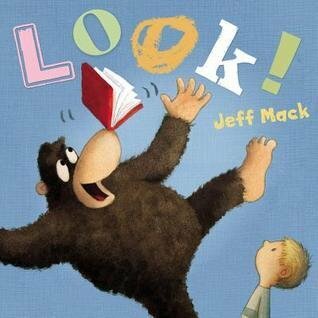 . .
Jeff, I think you create the deceptively simple picture book about as well as anyone working in children’s books today. The challenge, I suppose, is creating an age-appropriate story that isn’t simple at all –- that’s distilled to its essence — that has depth. Or at least humor. Is that something that comes naturally to you? 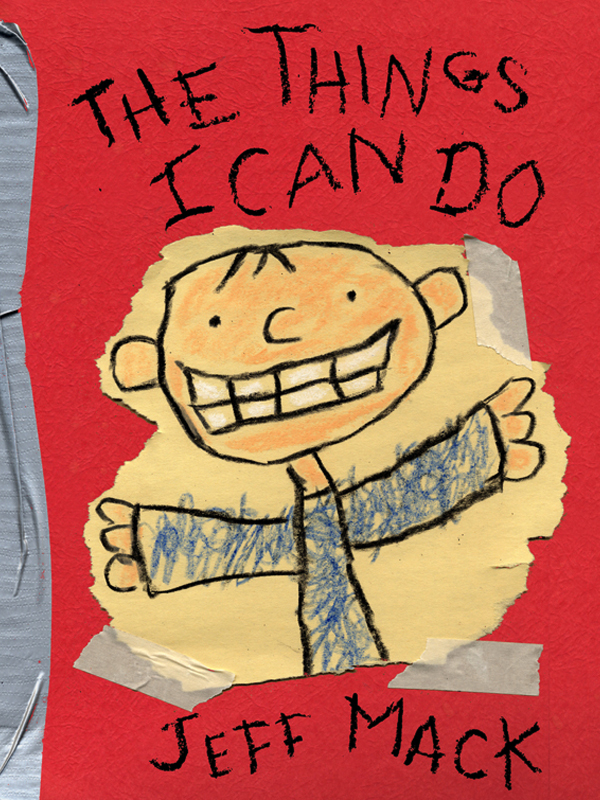 Because for many of us, it’s why writing picture books is so hair-pullingly impossible. There’s so little room for error. Certain parts of the process might come naturally. I always start out by scribbling a series of stick figures. That feels pretty natural. I don’t think deeply or critically while I’m scribbling. I just go with my gut and see what comes out. It starts to feel exciting if I notice a deeper meaning taking shape. Then I’ll play around with the words, making sure they add something interesting to the mix. I don’t want them to just repeat what you already see in the pictures. After that, there’s a long, difficult process of editing and revising. This is the hair-pulling, hand-wringing, axe-murdering part of writing. I’ll sketch parts of the book over and over again until the sequence feels exactly right to me. I might do a thousand sketches for a 32-page book. Remember Jack Nicholson in The Shining? I can relate. 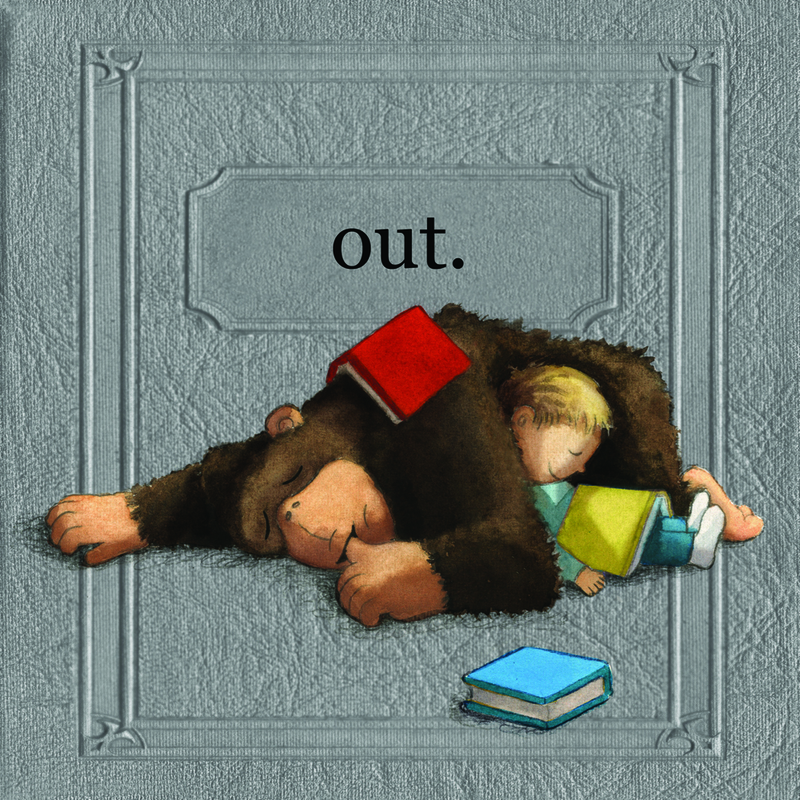 The most poignant illustration in the book, for me, comes midway through the book after the boy kicks the gorilla out of the room. The palette darkens. And he sits close to the television, lured by its glow. 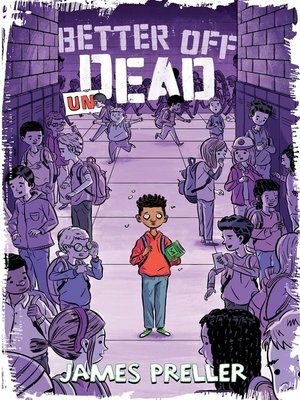 That spread is horribly sad, or sadly horrible, in a book that is ultimately filled with light and good cheer. Tell us about that one picture. In a different story, maybe this picture would look comforting. It’s dark. It’s quiet. Maybe he’s binging on The Good Wife or something. But, no. Not here. The boy just kicked the gorilla out of the room. He rejected a friend. So his solitude seems kind of pathetic. This is what I love about telling stories with pictures. I can guide readers how to feel about a certain image by putting certain others before it. If I get the sequence right, I barely need words. I’ve been dabbling as a writing coach with high school students on their college essays. I’ve had that conversation several times already, the idea that during revision we sometimes have to “kill our darlings” — deleting those passages we’ve come to love that, alas, don’t serve the greater cause. Cut, slice, destroy. It’s a painful process. It’s why I start with stick figures. You enrich this story with a subtle, understated device. From a design perspective, it’s a book inside a book. 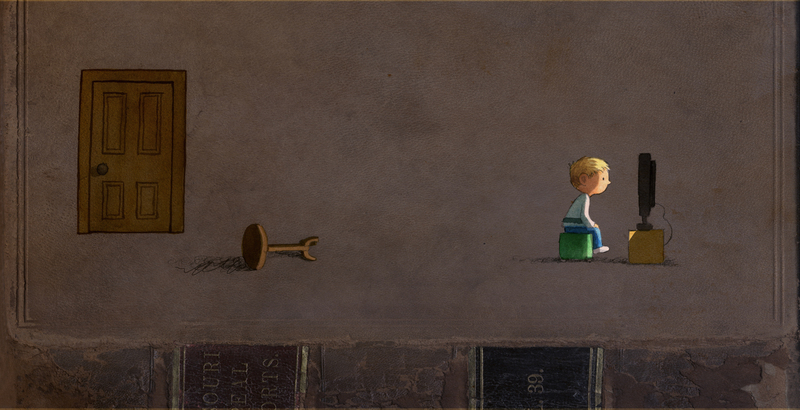 Or at least, you drew inspiration and texture from the visuals of a battered, old library book. Why did it make sense for this story? 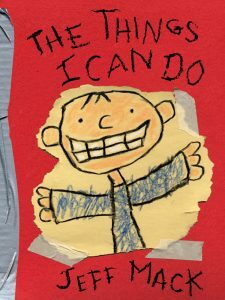 A couple of years ago, I made a book called The Things I Can Do. I just used random stuff from around the house: construction paper, bandaids, bubble gum, a piece of wood, ketchup. It was fun. It was messy. It looks like a four-year-old made it. Every page came out differently depending on what I used that day. When it was time to make LOOK!, I started doing the same thing. Except complete chaos didn’t really suit this story. Sure, it has some intense parts, but it also has plenty of calm moments. I needed a style that would give me a range of moods to work with. 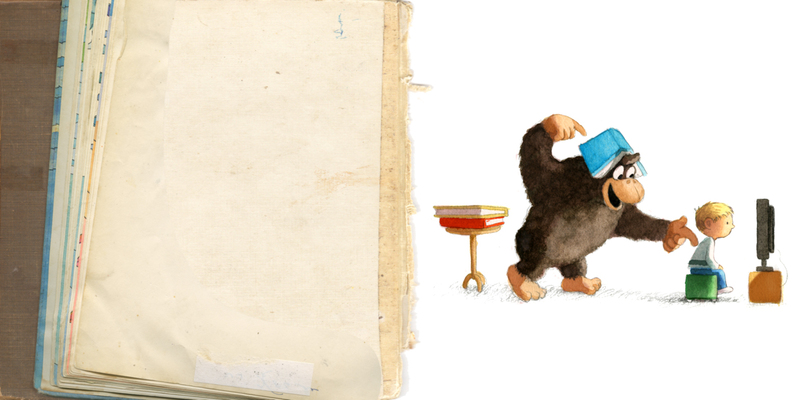 Since the main character is a gorilla who learns how to read and share books with a boy, I limited my collage materials to a variety of book covers and torn pages. That way, I was able to make a dynamic book where all of the visual elements connect directly to the plot. You really work the whole page, Jeff. Nothing is accidental or tossed off. There’s great care, for example, even in the typeface. Oh right, the typeface. I don’t use “he said” or “she said” in LOOK!. Instead, I attribute the characters’ voices by making typefaces that tell us something about their personalities. 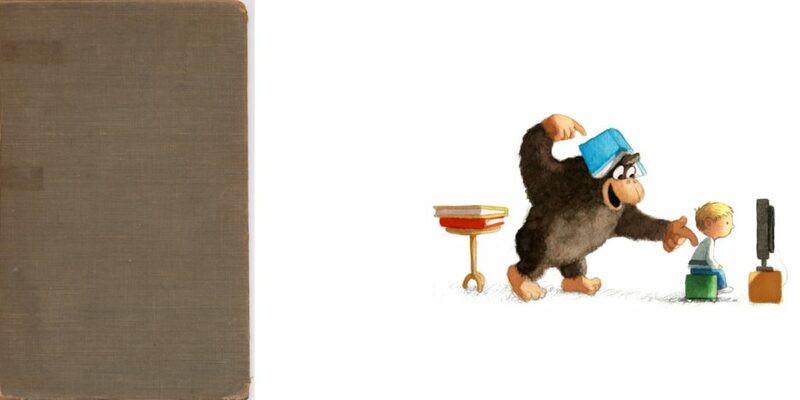 When the gorilla speaks, it looks like a little kid scribbled in the book with a crayon. When the boy speaks, it looks like an adult carefully pasted in letters from magazines. I put a lot of care into choosing and arranging each element. But chance also played a huge part in the process. After I collected the books and pages that I wanted to use as backgrounds, I matched them up with the characters one by one. I did this randomly, without any planning. If the images didn’t merge in an interesting or convincing way, I moved on to the next combo. When the images did work together, it was often because of some surprising good luck, like the way a tear in the page intersected with a crashing object, the way random pencil scribbles added manic energy to a scene, or the way a border around a character suggested a pause in the action. A big challenge when I’m working on these little details is finding the right balance. I want readers to notice them, but they have to stay subtle. Otherwise, they could distract from the plot. 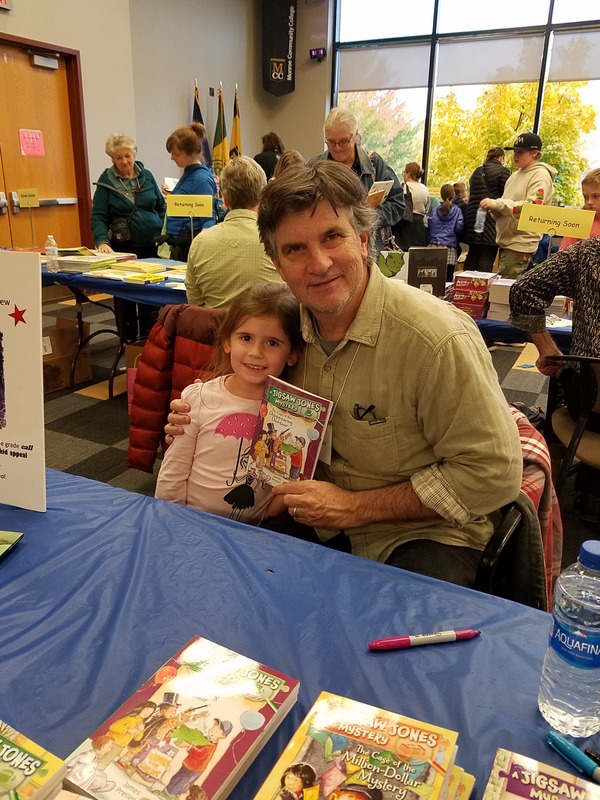 At the Rochester Children’s Book Festival, you and I had the opportunity to talk a little bit about the importance of endings. 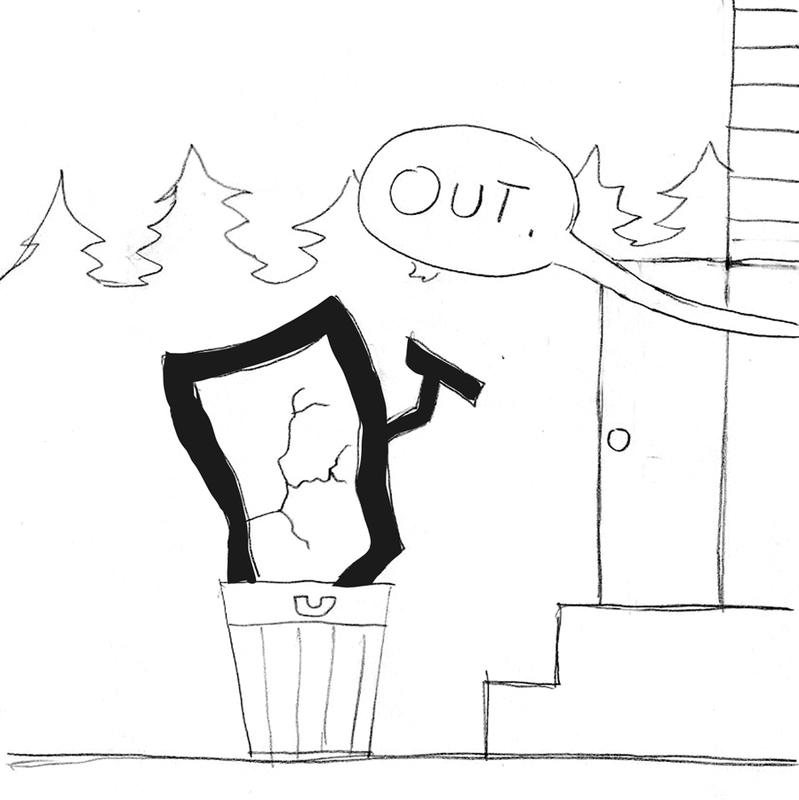 When it comes to a picture book, you absolutely must nail the ending –- or else it’s not a successful book. I once interviewed James Marshall and he was adamant about that. He said, “A fizzled ending is a fizzled book.” Do you struggle with endings? I think every part of the book has to be successful. It might be easier to hide a flaw somewhere in the middle. But it’s pretty much impossible to ignore a flawed ending. It’s like getting a zit on your nose instead of someplace else. But nailing the ending means something different for each book. For instance, some books call for a loud, obvious punchline at the end. I’m thinking about that book with Grover, The Monster at the End of this Book, where all of his troubles build up to a surprise twist on the last page. Others work better when the ending slowly creeps up on you and then makes you think. You can see it coming, but when it does, you can’t believe it’s over. The Giving Tree is like that. And some, like Goodnight Moon, have endings that just drift beautifully away. I wrote a few endings for LOOK! before I finally decided on the one that’s in the book. 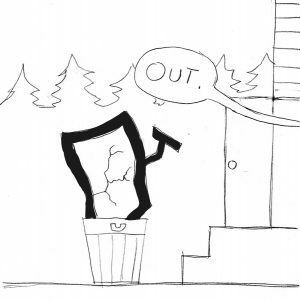 An earlier draft ended with the word “out” written above a smashed tv in a garbage can. It was a strong point, but it wasn’t the one I really wanted to make. On the surface, LOOK! is about a battle of books vs. tv. But on a deeper, more important level, it’s about paying attention to each other and not tuning out the world around us. Throughout the story, the boy and the gorilla struggle to connect. I wanted to see them finally get there. So I ditched the garbage can and showed them falling asleep together. That felt like the most satisfying moment to end with because it directly and completely solved their problem. At least until the sequel. You seem to have a natural sense of young readers, what makes them laugh, and generally how they interact with a book. It’s a cliché to say that you tap into your own “inner child.” But I wonder, Can you think of any other explanation? Honestly, I just write about the stuff I like. I have been writing and illustrating stories ever since I was a little kid. My activities haven’t changed. I’m still in touch with my childhood feelings and interests, except now I’m motivated by adult feelings and interests. 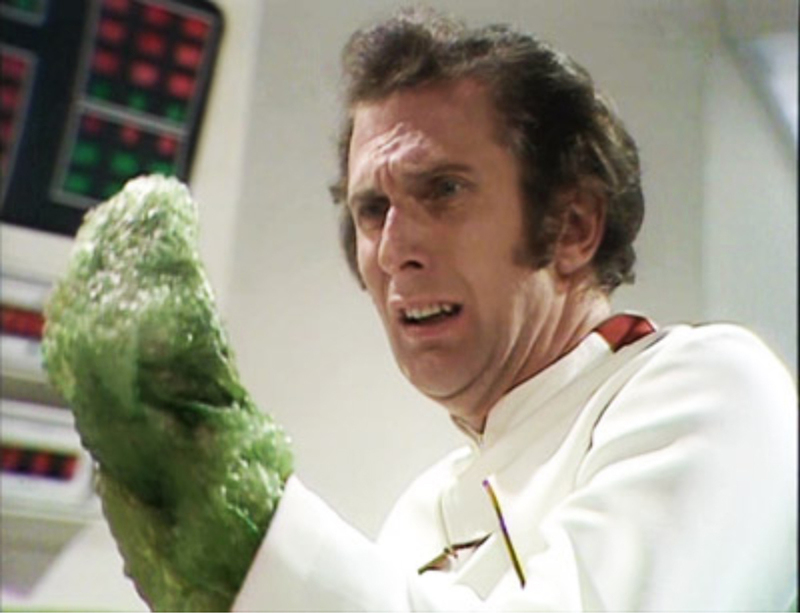 Look at it this way: in the early 1980’s I watched a lot of sci-fi on tv, especially Doctor Who. As a ten-year-old, I loved the monsters because they were scary and cool. Now that I’m a forty-four, what I love about those old monsters is how cheap they look. I love that a slimy monster arm is really just bubble-wrap with green spray-paint on it. It fills me with happiness. It’s the same feeling of happiness I felt when I was ten, but now I feel it for a different, more complicated reason. Having that feeling helps me remember what I enjoyed as a kid. 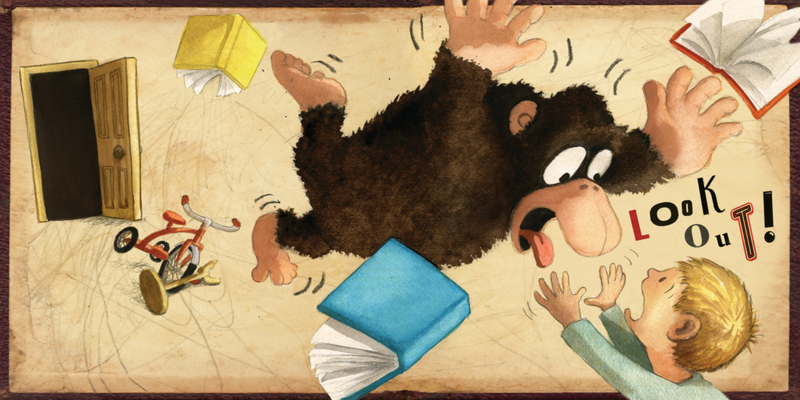 And those memories inform all of my books whether they are 32-page picture books like LOOK! or 250-page chapter books like Clueless McGee. The best books seem to work on both levels, for children and adults. Yes, I think so. That was my goal for Clueless McGee. On one level, it’s about a bumbling fifth-grade private eye who repeatedly ignores facts because they challenge his false beliefs. It’s full of meaning and real-life human problems. At the same time, the stories are also absurd and slapstick. Hopefully jokes about inflatable pants and cosmic boogers lead kids into deeper levels of understanding. It’s like a candy coating that gets them to eat the healthy apple inside. 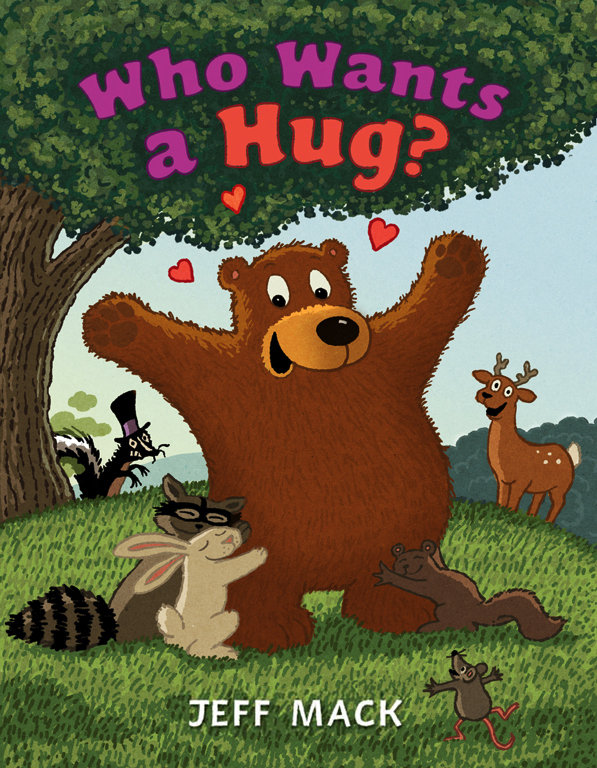 One of my goals in life is to make books that readers form strong relationships with. At the same time, they have to come from a place of deep, genuine, personal interest. 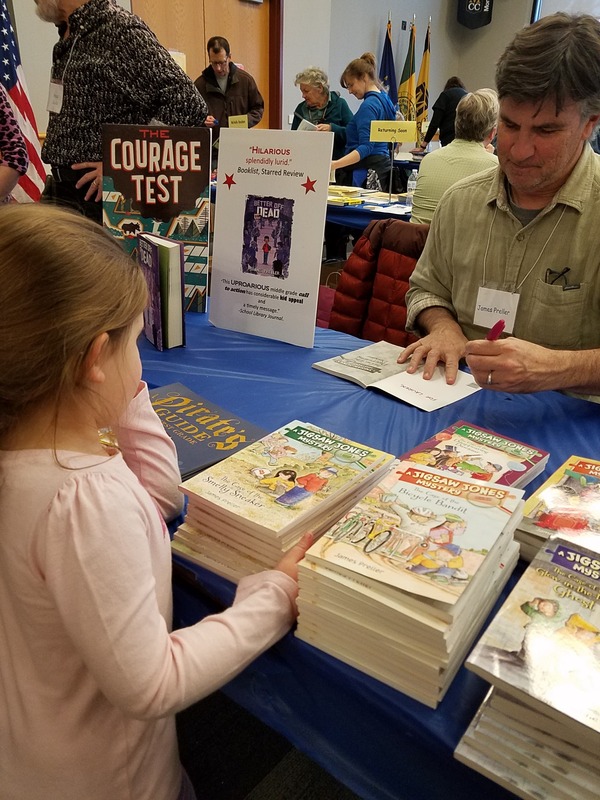 I just feel lucky that enough readers enjoy my books to keep me busy doing something I care so much about. Thanks for the deep thoughts, Jeff. Now let’s go for a ride in my van, I just got a full tank of gasoline. 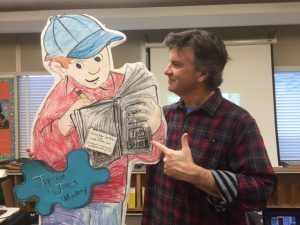 JEFF MACK keeps a clean, well-lighted blog and travels the world — it’s true, the actual world — visiting schools. 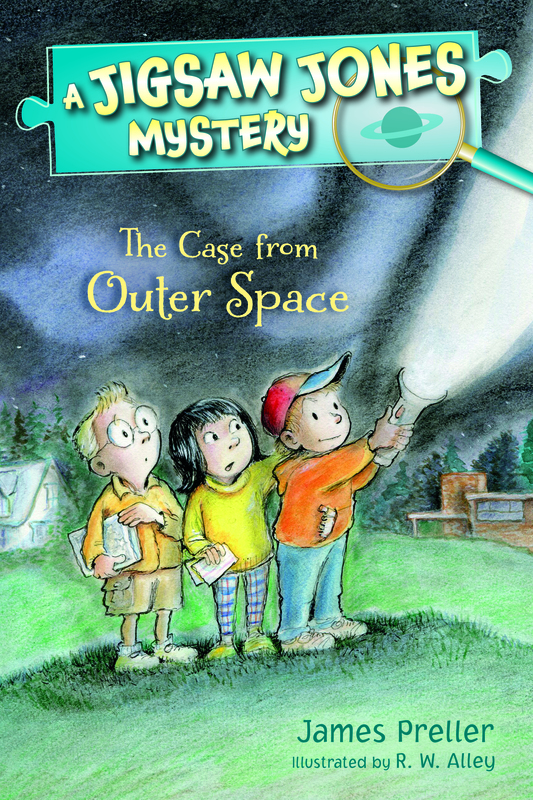 Jeff not only writes picture books for very young readers, but also the longer “Clueless McGee” chapter books. Be sure to check them out. The “5 Questions” Interview Series is a side project I’ve assigned myself, hoping to reach 52 authors & illustrators in the course of a year, always focusing on one book. To find past interviews, click on the “5 Questions” link on the right sidebar, under CATEGORIES, and scroll insanely down. Coming soon: London Ladd, Bruce Coville, Matt Faulkner, and more. Shuffling Off To . . . Rochester? 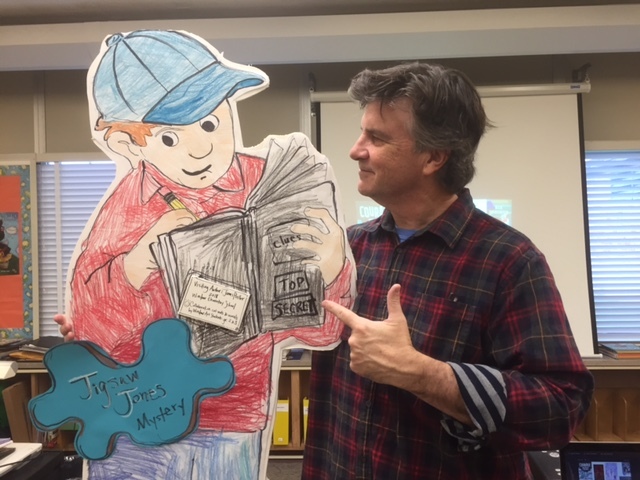 I’m headed out on Thursday, the long drive to the Buffalo area for a school visit in Newfane, NY — way out there! 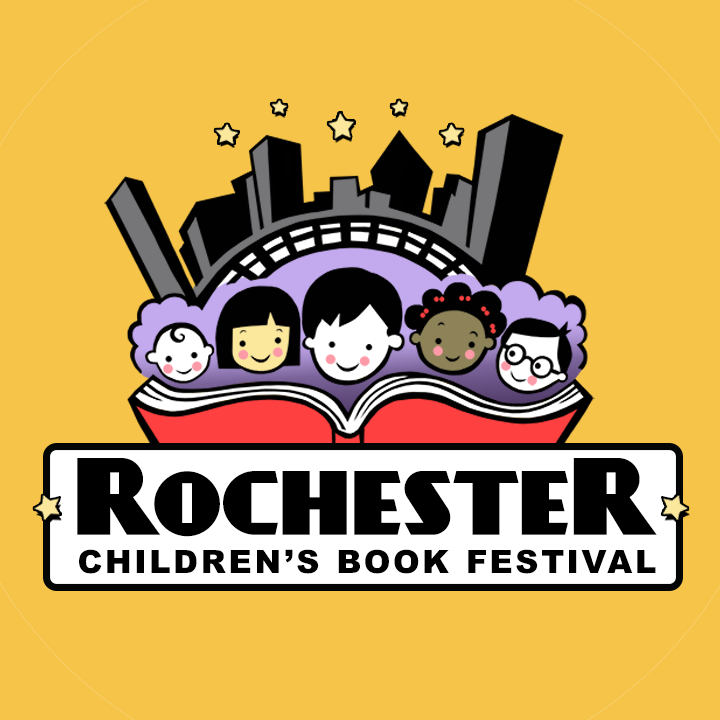 — then over to Rochester for the fabulous, 19th Annual, Rochester Children’s Book Festival! Come on by if you can swing it. I love this one. We get to stay over in a not-very-fancy hotel and hang out in Applebees next door, gabbing and giggling with a merry gang of children’s authors and illustrators. It really is a profound and rare pleasure, given the solitary nature of our profession, to share stories and build friendships. What am I saying? It’s fun. It feels like a community. They understand. During these past two months in particular, I’ve been head down, shoulders to the wheel, trying to finish a book before Thanksgiving. It’s been a great challenge — I’m so excited to talk about this next book, and will soon — but for now I’m working, working, working my way through it. 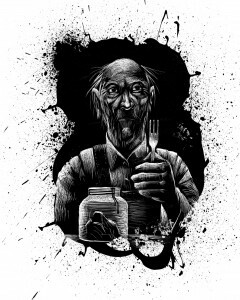 Can’t jinx things by talking about them; no, no, the art is in the doing.